Exxon Mobil CEO Rex Tillerson has surfaced as a candidate for U.S. secretary of state as President-elect Donald Trump expands his search for his administration's top diplomat. Exxon Mobil CEO Rex Tillerson is surfacing as a potential U.S. secretary of state as President-elect Donald Trump expands his search for his administration's top diplomat. The Texas oil executive will meet with Trump on Tuesday in New York, transition aides said Monday, following reports that Tillerson has been added to the list of people Trump is considering for the position. Trump had originally narrowed the list to four contenders, including 2012 GOP presidential nominee Mitt Romney. But in recent days, Trump aides have suggested he is weighing additional options. "We've been winnowing the list, but it might grow a little bit," Vice President-elect Mike Pence said Sunday on NBC's "Meet the Press." 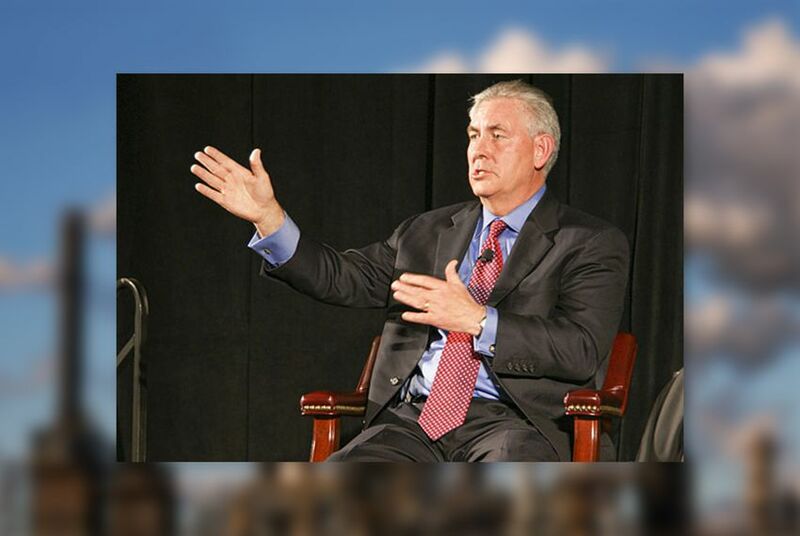 Born in Wichita Falls, Tillerson went to the University of Texas at Austin and currently lives in Irving, where Exxon Mobil is based. He has worked for the company for more than four decades, becoming chairman and CEO in 2006. On Monday, Trump Tower received a visit from another Texan: Allen West, the former Florida congressman who lives in Dallas. As he left, West told reporters he had met with Pence; retired Lt. Gen. Michael Flynn, Trump's pick for national security adviser; and K.T. McFarland, Trump's selection for deputy national security adviser. "We talked about some national security issues, and, you know, how maybe I can continue to serve my country," West said, according to a pool report. "Nothing was offered." West is the executive director of the National Center for Policy Analysis, a conservative think tank based in Dallas. Last year, Lt. Gov. Dan Patrick appointed West to the state's Sunset Advisory Commission, which is is tasked with periodically reviewing the operation and efficiency of different state agencies. U.S. Rep. Michael McCaul, R-Austin, is confronting some resistance from the right as he seeks to become Donald Trump's secretary of Homeland Security, a closely watched appointment for a president-elect who pledged to vigorously fight illegal immigration.